The deadline for objections to the Councils “Lowfields Green” planning application has now passed. 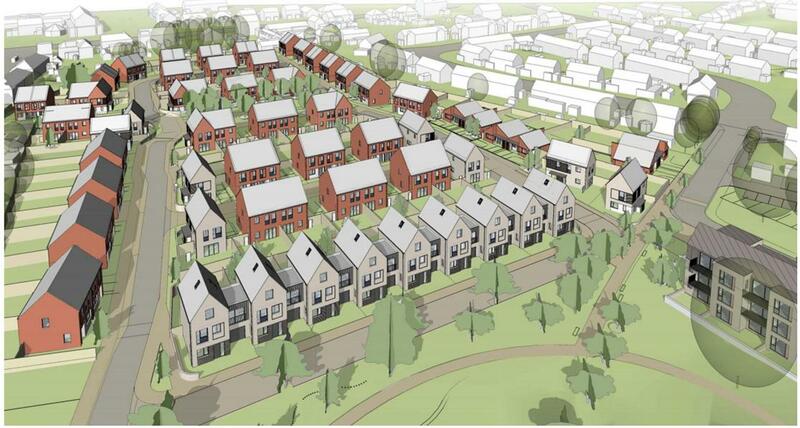 Most of the representations of support for the scheme seem to be generated by the communal living project (Yorspace) although there is general support for the plans for specialist accommodation for the elderly. The only unconditional message of support for the Council plan has been lodged by Bob Towner – a former Director of Housing at (you guessed!) the City of York Council! He says local people should use Hob Moor for recreational activities. Further examination of the artists impressions of the proposals reveal a regimented design, the likes of which haven’t been seen since the 1960’s. Lowfields Green – a candidate for the least imaginative architecture award? Regimented is too kind a description. It’s banale architecture and poor planning. No forecourts or private gardens. The old PPG used to say:’Obviously poor design should be refused’. Amen.